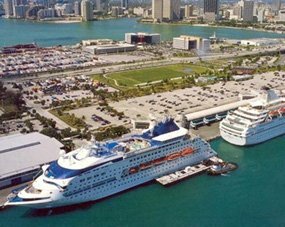 If you're looking for a hotel near a Miami cruise port, you've come to the right place! 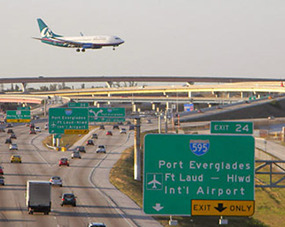 Quality Inn & Suites is located near port terminals and other major destinations in South Florida. We provide cost-effective rooms that will make your vacation experience more accommodating. We offer such in-room amenities as FREE WI-FI, cable/satellite, refrigerator, microwave, coffee maker, plush sheets and a mattress, hair dryer, iron and ironing board, and a safe in each room. Contact us today at 877-981-1800 to learn more about our rates! At Quality Inn & Suites on Hollywood Boulevard, we cater to guests who also have cruises to board. 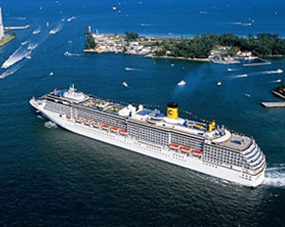 We offer low-cost transportation shuttles for transfer to cruise ports or any other destination in the area. Before you make your cruise, enjoy our hotel amenities in the form of a FREE hot and cold continental breakfast, FREE 24-hour coffee, business center, sundry shop, guest laundry, and an outdoor heated pool. We are a Miami cruise port hotel that's also pet friendly, and we are accessible to those with disabilities. 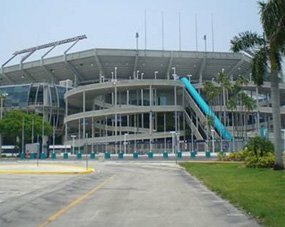 We are located near such destinations as Port Everglades, South Beach, and Sun Life Stadium. While staying with us, check out our beautiful grounds, particularly our fountain area. We offer the perfect combination of affordability and quality perks that you'll come to love! We are a Miami cruise port hotel that allows you to save money so you can spend it elsewhere during your vacation!